ACL Kodachromes Part VII | A Continuous Lean. Not all photographers are created equal. That, and people in America spent a lot of time fishing. Those are the two things that I learned when I received my second set of sides back from the scanner. 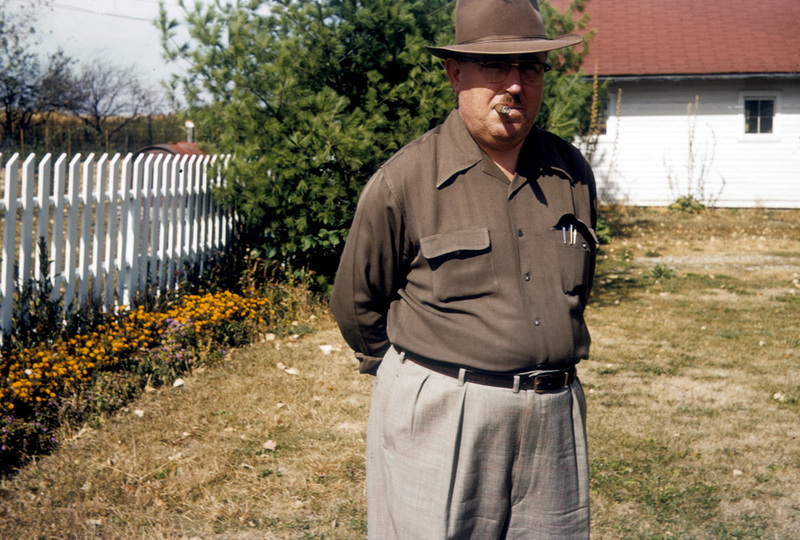 Previously, I have posted six sets of Kodachrome photos from everyday people from that represent America in the 1950s and 1960s (from their perspective). Those six sets were shot by two different photographers. These new images (which I have a about 500 photos from; about 75 worth posting) were also shot by two different people. Neither of these two men (from the new batch of slides) were very good at keeping the camera focused, so most of these pictures are slightly burry. Not that it matters much. The colors are still wonderful and the scenes are an amazing view into mid-century American life. These are all great. 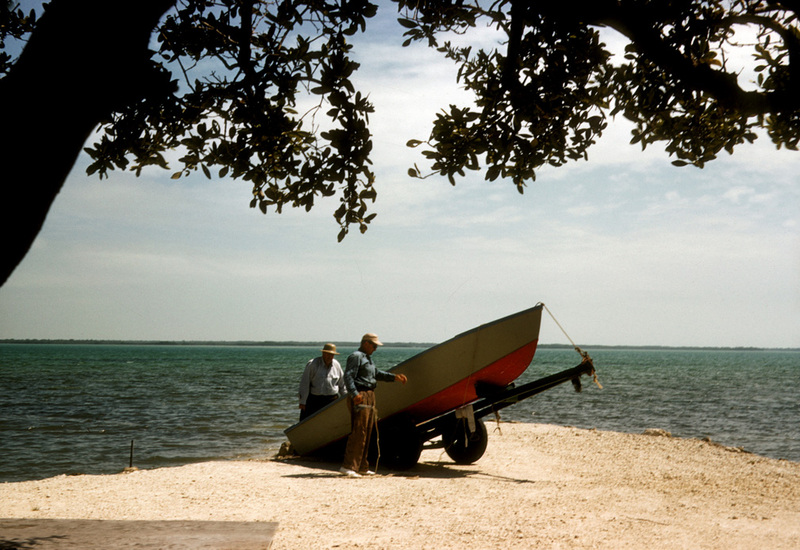 What I love most is that the hunters aren’t covered head to toe in camouflage and that several of the boats look homemade. Beautiful photos even if a little soft on focus! By far the best Kodachrome displayed yet! These are great, despite the soft focus. 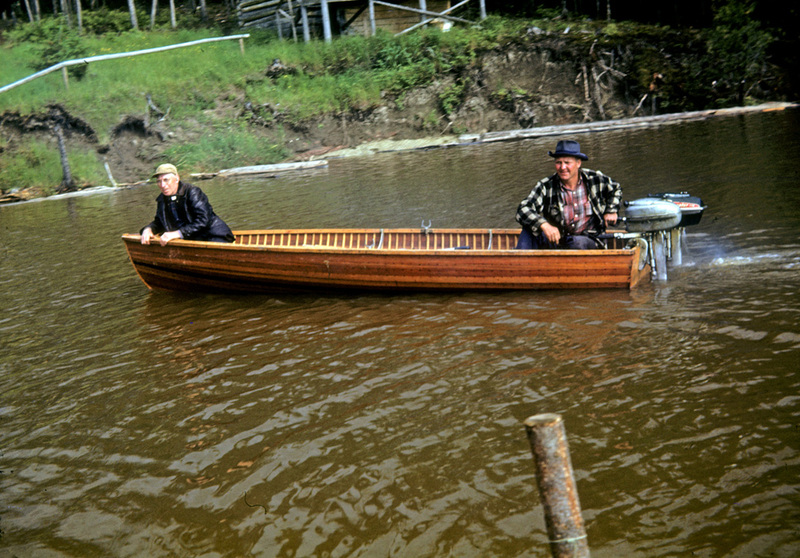 Like Ian suggested above, there is an authenticity to the natural materials used (in the clothing, and in the boat as well) that you wouldn’t get from a similar scene today. I love your scanning project. It reminds me of another project I found online (need to find the link) where a gentleman collects old cameras from thrift stores and garage sales that still contain film. He develops the film and posts the long-lost images. Like this project, it’s truly a window into another time. The colors are ket for these – they are very stable over time, and won’t red-shift like, say, Ansco transparency from the same time,. As usual, these are great. 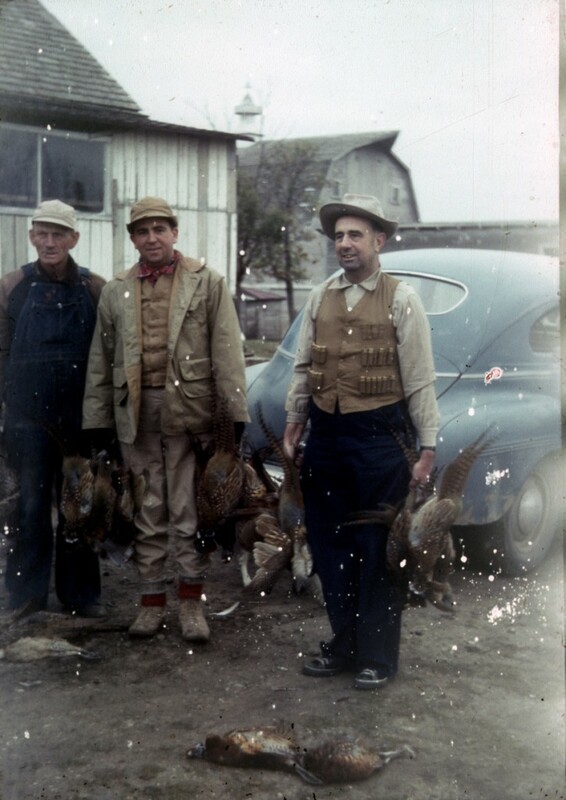 As far as the comments on the clothing and the camouflage – even today you wouldn’t wear camo to hunt upland birds and 99% of bird hunters don’t, unless your hunting waterfowl. Love the wooden boat and the upland coat in the first pic. is classic. Not a single company logo on their gear! Love the post! Love the stogie/fedora guy. Amazing that these folks were able to shoot all those birds and catch all those fish without any high end camo clothing. You sure you didn’t sneak some Ektachrome in here? 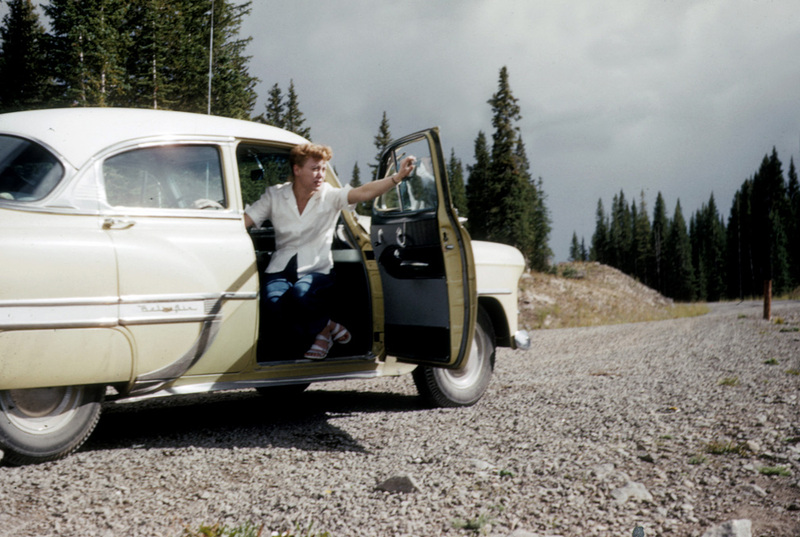 Kodachrome 25 was a mother to shoot. If I got one exposure right out of a 36 exp roll I was happy. 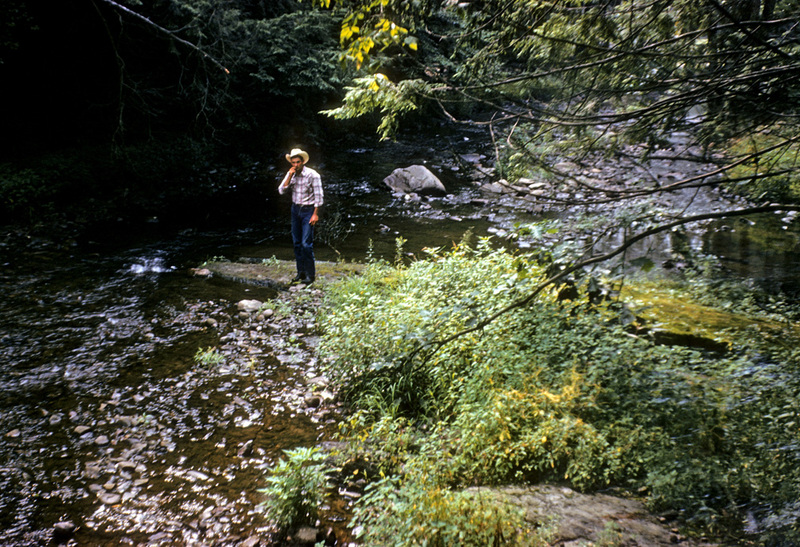 Kodachrome 64 was a little more forgiving but it didn’t have the bang on quality of 25. Some of these guys look like they might know Mr Mort. Great pics! Defo the best ones yet! 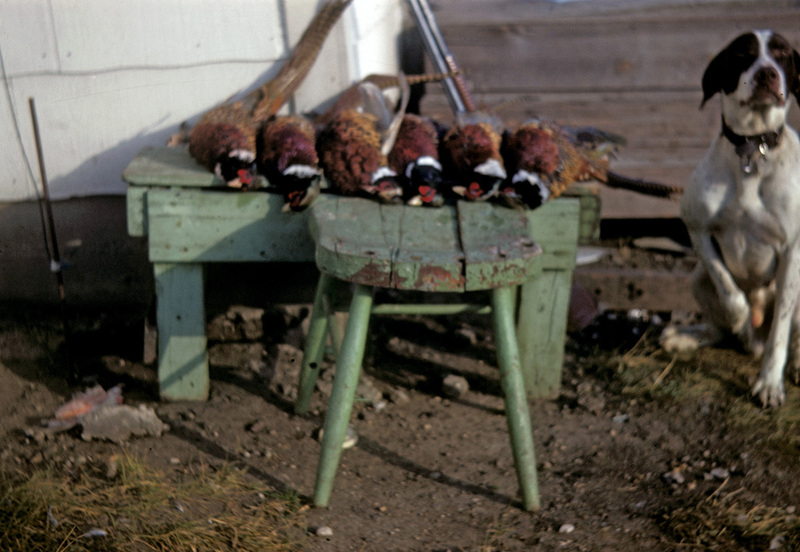 My kinda pix….dogs and recently harvested pheasants. 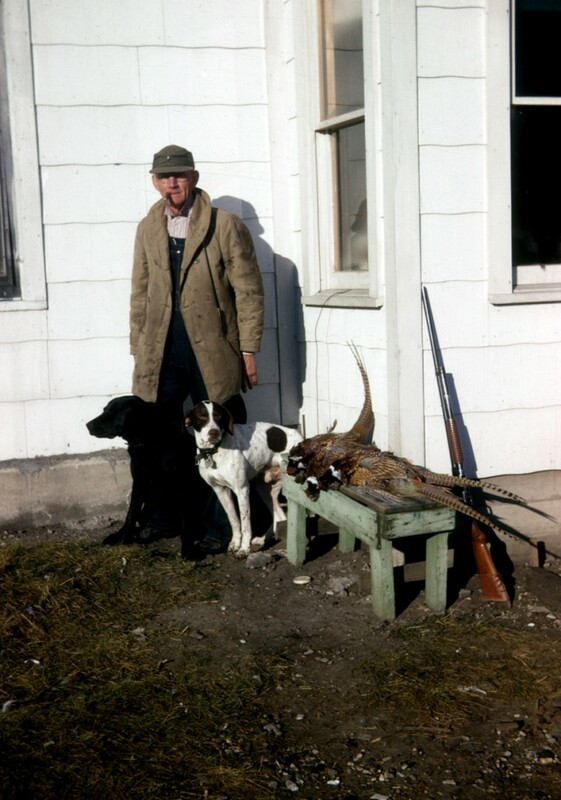 The pointer and pheasant pictures are great, brings back the time when almost everyone in small towns and in the country had bird dogs and hunted a lot. Some great old pictures! LOVE the old boats. 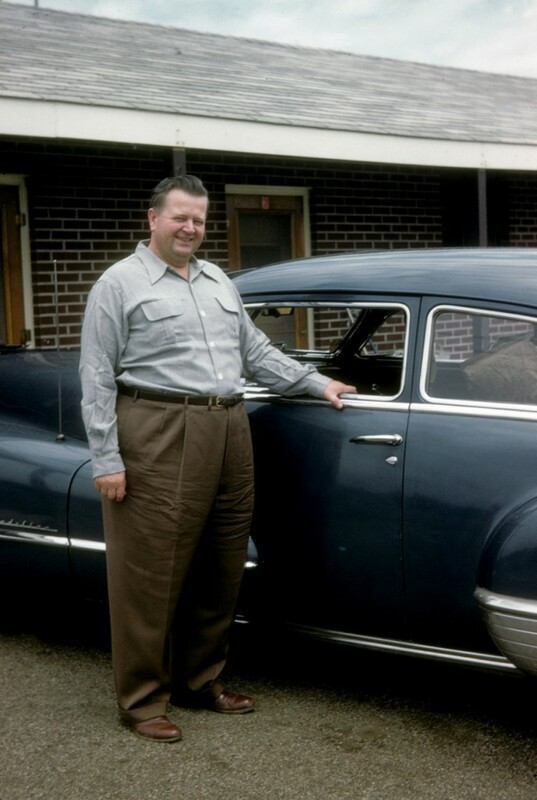 And the cars, back then they had style, and did not all look alike. 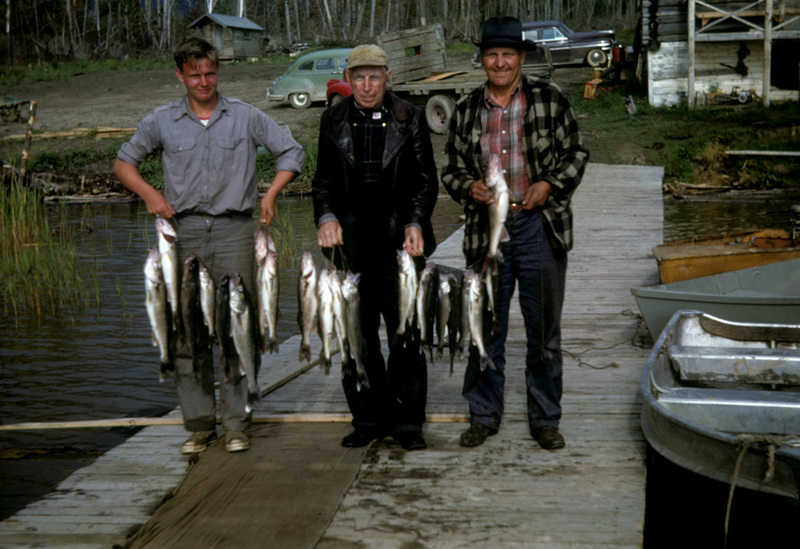 Seriously everyone with the camo knocks….their clothing was a product of the times and had nothing to do with their awareness of hand-fashioned workwear and classic American/Anglo outdoorsmen apparel. If they’d had access to Bass Pro Shops and Cabelas they’d have been clad head to toe in Realtree, Browning, etc. 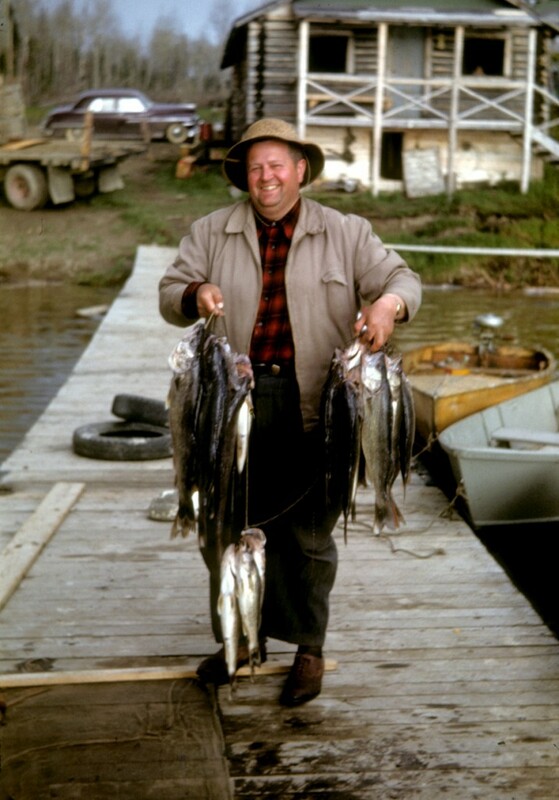 More importantly, keep the Kodachromes coming please sir. They certainly capture an increasingly romantic image of American life in that era. The important thing to remember about these people is that none of them knew how to hunt or fish. They lived in Manhattan or LA, or San Francisco or Austin, TX and spent most of their days online, working on their blogs and sourcing these clothes which they found in very expensive boutiques. I can get enough of images likes these — they are art! They are so pure in their purpose – sport and relaxation. 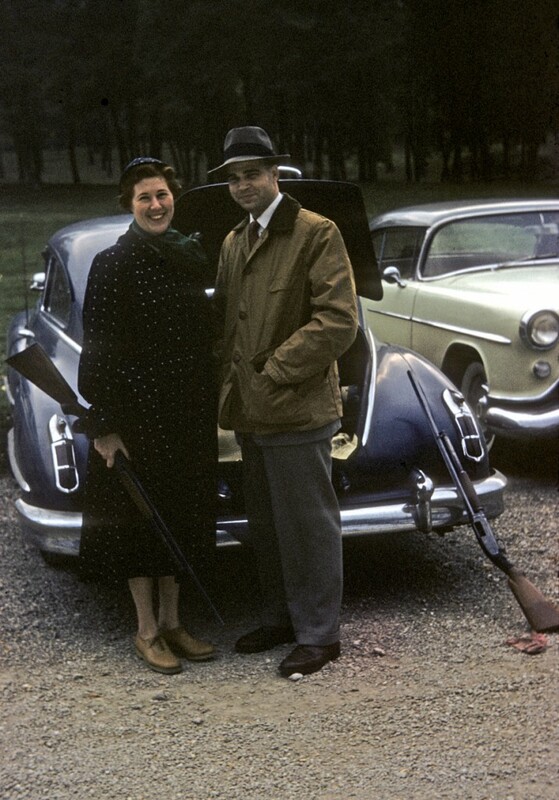 Grandma with the shotgun.. .man what a picture there eh? Grandpa – don’t be foolin’ around -ya know what I mean? These are beautiful. Gotta love the gal sporting the sensible shoes and shotgun. The first thing I noticed was a resemblance to my Granpa. The next thing I noticed, was a similarity to me. Lastly, I realized these were photos of Elmer Fudd and his pal. Other than that…. I loved them. I am happy to see that there are other people who appreciate the depth and substance of kodachrome. The dyes that are added in the processing not in the emulsion like most films make it the most amazing photography medium that has ever been. Great project, a worthy endeavor! Camo is for bow hunting in a tree stand. What is it about kodachromes that always makes ’em look 3D? fellow in the last photograph reminds me of andrew zimmern. Love the texture that comes from old slides. 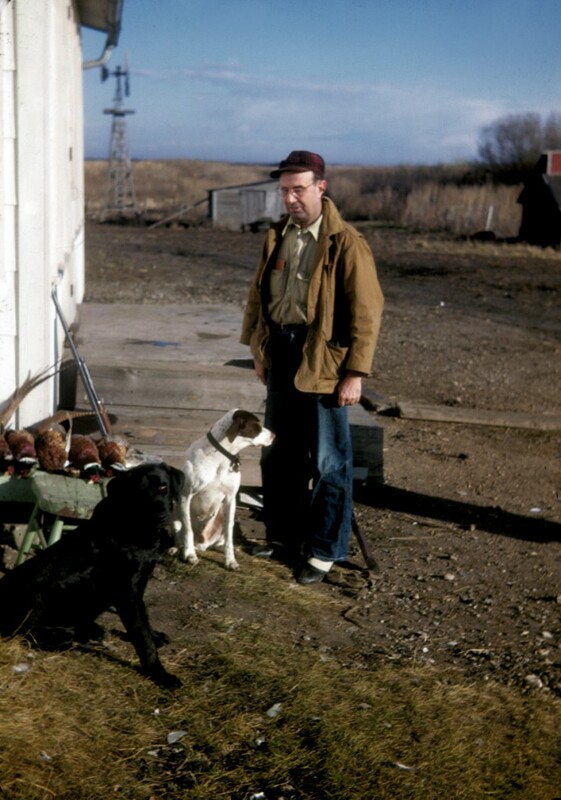 Just find slides of dogs and game birds and I’ll look all day long. Lovely job…. 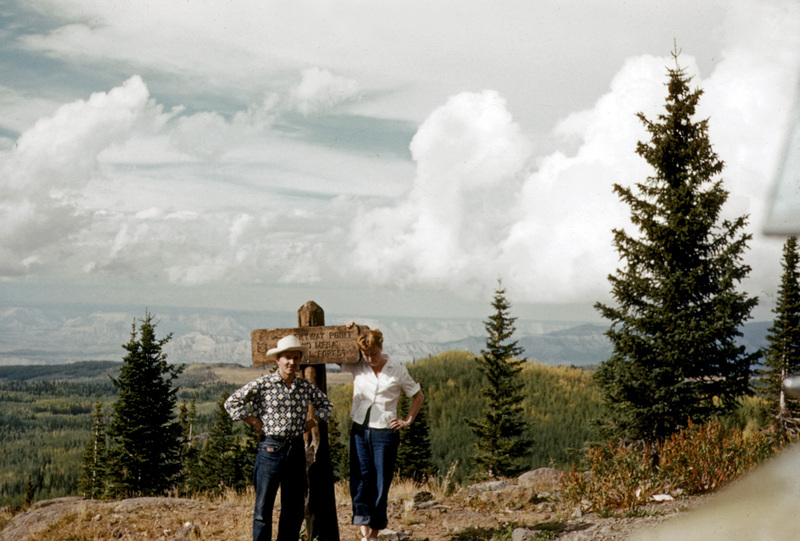 As mentioned above, I suspect there is something other than Kodachrome here; or morelikely, these shots were “color-corected” when they were scanned. I don’t see the usual KR glow (orangish). And yes, I still have a freezer full of PKR 64. And the softness could be camera shake or just crappy lenses. Hmmm. I liked the shawl collar coat the pheasant hunter with the cigar is wearing. Then I realized it was probably an army surplus Mackinaw coat, such as this one: http://www.atthefront.com/us/uniforms/mackinawcoats.html. At $150, I may have to pick one up. Definitely channeling Eggleston in some of those images. Particularly the fellow 3rd from the bottom with a cigar. Nice collection.